Our meeting was kicked off by our Sergeant at Arms, Neil, who then handed over to our President, Paul Andreas. Paul encouraged everyone by reading a passage, “The Journey of a Speaker” from one of his favorite books, “The Speakers Toolbox”. The passage is reproduced at the end of this email. Our Toastmaster for the evening was Richard G, who introduced his team. Vinu was the Timekeeper, Adam the Ah Counter and Nick, the Grammarian. They all did a great job. Annelise led The Warm Up by asking us to share a good habit that we had adopted this year. This got some interesting and useful responses. Dave H gave us a Hot Tip about always having a back-pocket speech, which was very timely as two speakers had dropped out creating some last minute slots. Our first speaker was Oscar with speech #6 from the CC Manual called “Sounds of Silence”, which has an objective of Vocal Variety. Next was Paul A, with speech # 5 from the CC Manual called “Body Language”. This was an educational speech about how to use body language in our speeches. Paul demonstrated how you can use your body language to increase your self-confidence. The speeches were ably evaluated by Tony and Neil respectively. After the break Richard M led the Table Topics with a twist. He has a book called “The Book of Answers” and he invited members to the stage to ask a question of the book. They then had to answer their own question based on the answer from the book. So, the crafty ones asked the book a question that they knew a lot about to make it easier. Simon evaluated the Table Topics and managed to evaluate twelve topics in only eight minutes. Well done Simon, especially as he was feeling tired after a really busy day at work. Our General Evaluator for the evening was Eddie who gave us lots of tips and insights with his usual humour. Our President, Paul A, presented the Awards. 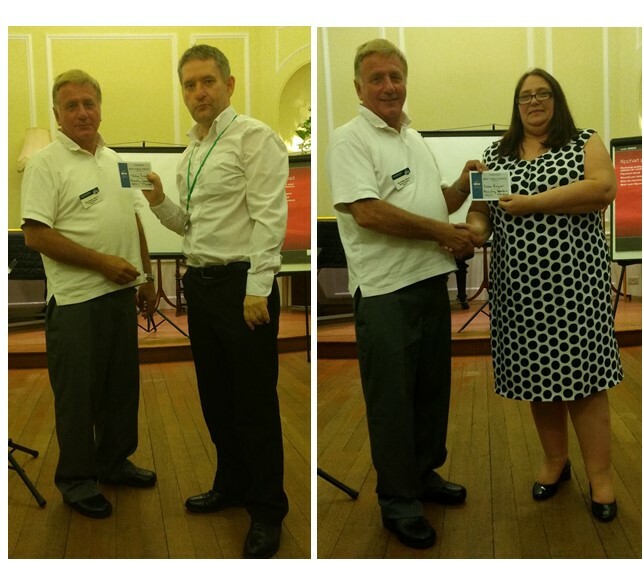 Susan and John were joint winners of the Best Table Topics. There were no other awards as we had only two speakers. Members reported that they really enjoyed the meeting last week at the Shortlands Tavern and were happy to return there for more meetings. The next meeting there has been pencilled in for Thursday 27 July to give our members more speaking opportunities and reduce the wait time for a speech. Initially, most speakers are self-centred so that they are nervous about themselves – Will I remember the lines? Do I look good, sound good? How’s my language? What techniques should I be thinking about? Do I have the right phrases? Are gestures right? Then, later, experience takes over and you move to a different level. It moves from “me” to “the audience”. Your over-arching goal becomes: How can I serve the audience? What can I share from my experiences and insights to serve them? To help lift them? Speaking is a journey – you learn who you are: you become comfortable standing in front of audiences and share “stuff” (your stuff) to help them. The Speaker’s Toolbox, P94.